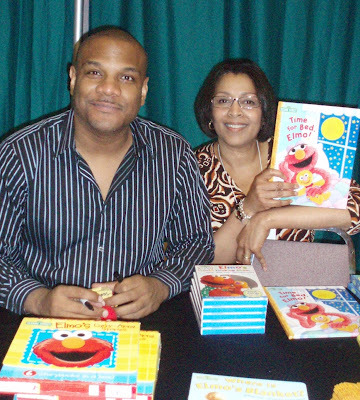 Donna and Elmo, aka Kevin Clash--at the Southern Kentucky Book Fest in Bowling Green. Elmo has the best laugh ever! Have you ever been that tickled?! We love Elmo here at my house. My youngest is the only one who hasn't really warmed up to Elmo but the older two loves Elmo.